For this week’s WordPress Photo Challenge I am choosing to depict the famous and often controversial landmark in the capital of the Dominican Republic, known as Faro a Colón – the Columbus Lighthouse for you non-spanish speakers. 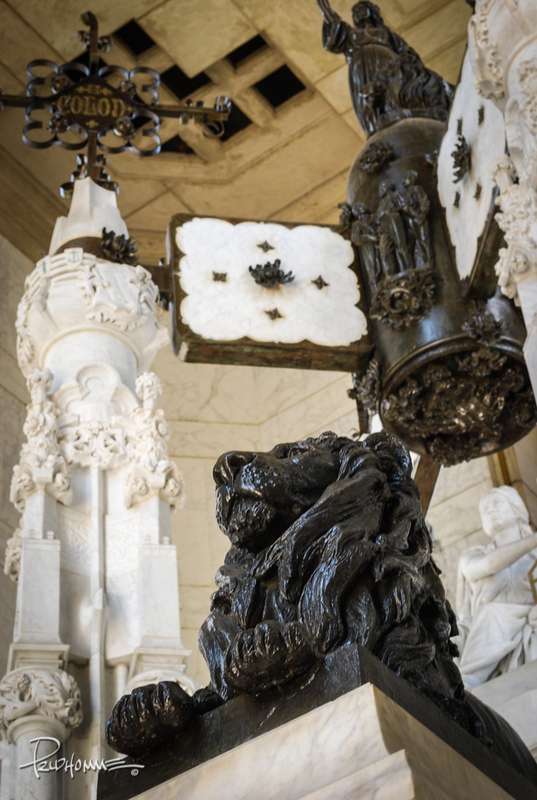 What makes this monument highly interesting to me is the fact that it is both a museum and a mausoleum. 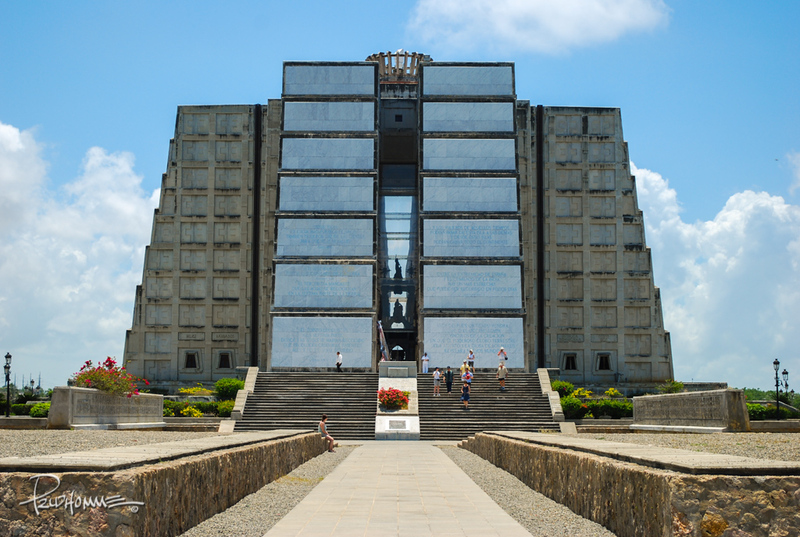 Completed in 1992 for the 500th anniversary of the discovery of the Americas, this massive structure is purported to have Christopher Columbus’ remains, something that the inhabitants of Hispaniola will vehemently and proudly attest to. However, the story of his remains isn’t without controversy. 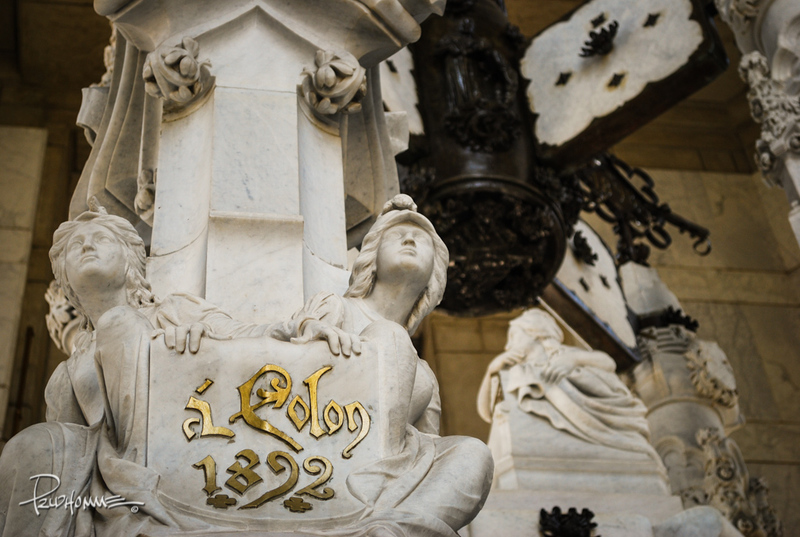 If you delve into the history of Columbus, specifically his death in 1506, you’ll find that he was buried in Spain – twice – in two separate locations. After being buried in Vallodolid, Spain his son Diego traveled to Santo Domingo, Dominican Republic to oversee the construction of a cathedral that will ultimately house his remains. Unfortunately, Diego died before this ever happened. 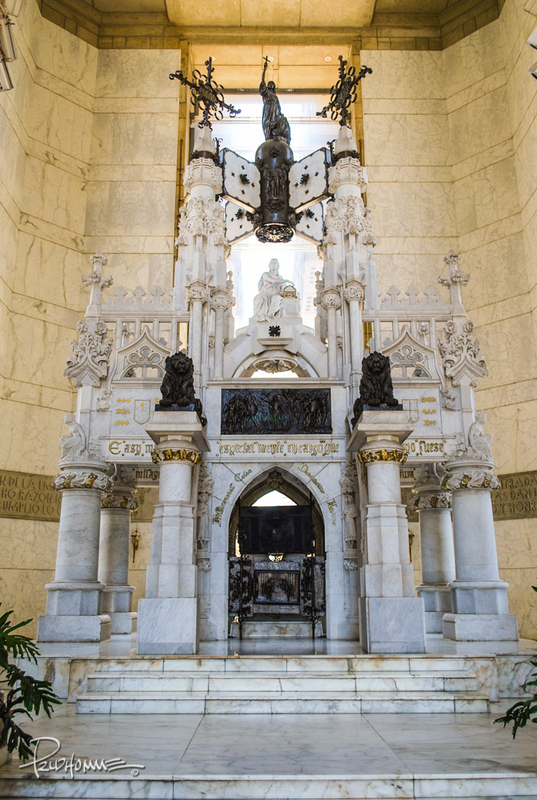 Columbus’ grave was moved to Seville where he and his son were both buried. 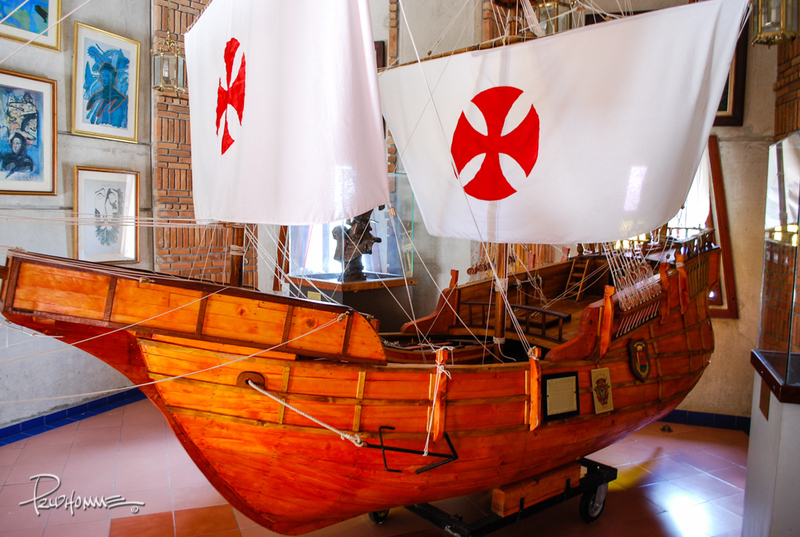 This is absolute proof that the Dominicans still have the true remains of Christopher Columbus. Slam dunk, right? Wrong. Both father AND son were known as Don Colon and held the same title of Admiral of the Ocean Sea during their lifetimes. So who had the real remains? Did the Spanish in their haste take the wrong box? This is the box that supposed contains Columbus’ remains. After the Spanish were ousted out of Cuba, they returned to Seville where a great cathedral was built to house Christopher Columbus’ remains. 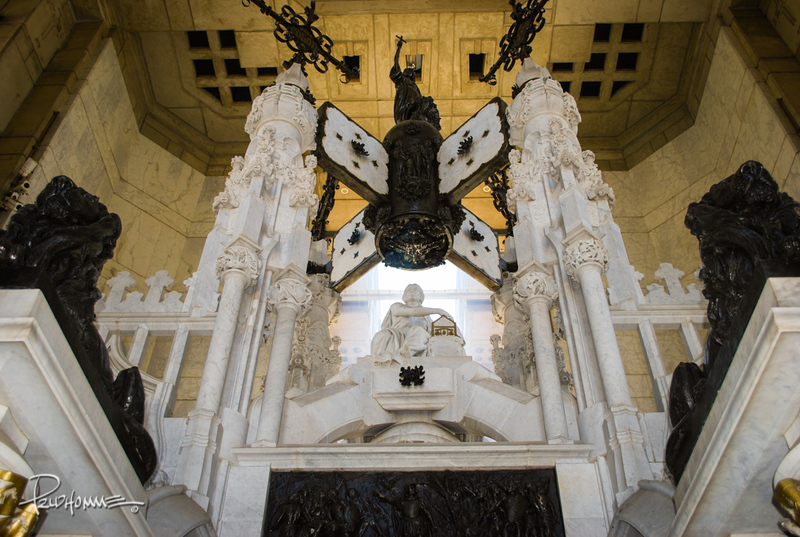 The Dominicans however started to plan their own monument much later in 1932 after a Scottish architect Joseph Lea Gleave won the competition to build it. Unfortunately, due to political turmoil, corruption and instability the structure wouldn’t be completed until six decades later! Now, with all our advances in medical knowledge and technology, figuring out whose bones belonged to who would be a fairly straight forward if not a lengthy endeavor, right? Well, not exactly. 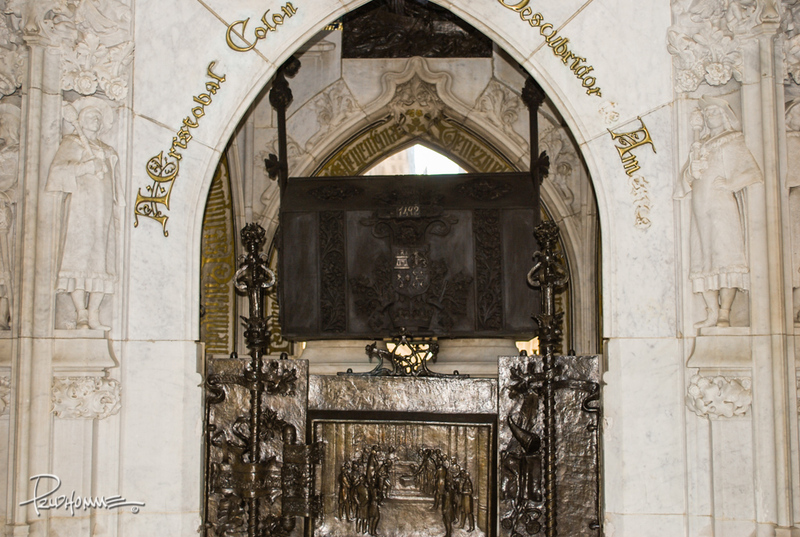 Back in Seville in 2003 DNA tests were conducted on the remains of Christopher’s sons Ferdinand and Diego. The results? Inconclusive. Of course. If they DID find that the bones were NOT Columbus’ would they even admit it? 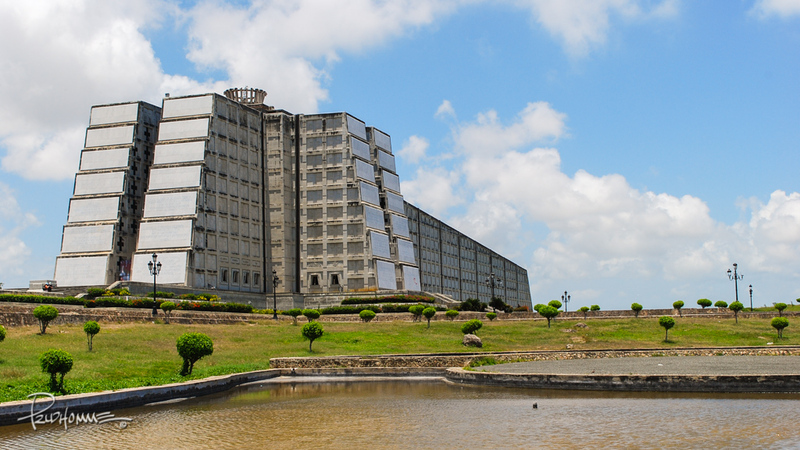 The Dominicans have not allowed any tests to be conducted on the remains in their possession. Perhaps this is a wise move on their part. This keeps the mystery and uncertainty of Columbus’ remains very much alive. Both sides can still claim they have the true remains. My daughter takes a break from the day’s history lesson. 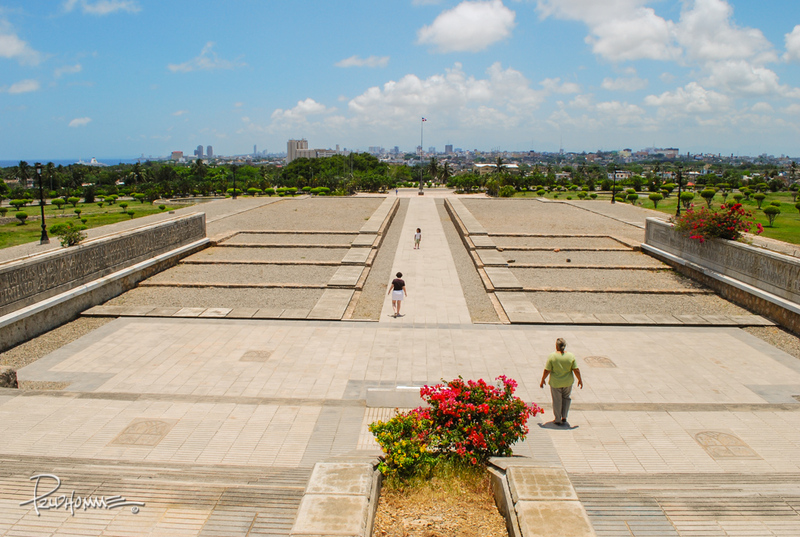 Faro a Colón is very beautiful and although originally constructed as a mausoleum, it’s now a museum showcasing various artifacts from around the world. If you look at the exterior shots of the cathedral, you’ll see that it was built to resemble a giant crucifix, especially when seen from above. At night, especially under overcast conditions, the entire monument illuminates the sky with beams of light forming a cross against the clouds. It is said that these lights can be seen as far away as Puerto Rico. Contrary to its name, the museum is not a lighthouse at all. I have never visited the museum in the evening so I haven’t seen this particular feature. Some may never see it as I’ve learned that they don’t turn on the searchlights anymore because every time they do, the lights in the city go out! If you’ve spent any time in DR, you’ll know that rolling brownouts are quite frequent (and highly annoying). There are many exhibits from around the world in the museum. 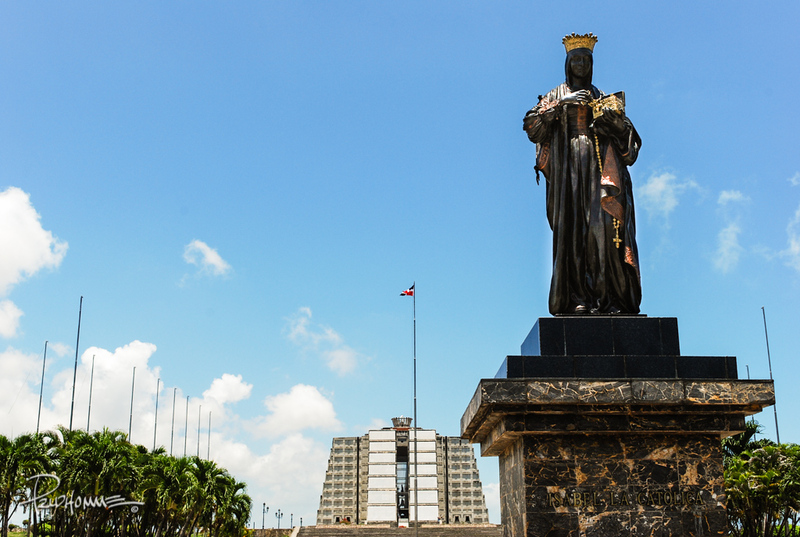 So whether or not Christopher Columbus is buried in Santo Domingo we’ll probably never know. 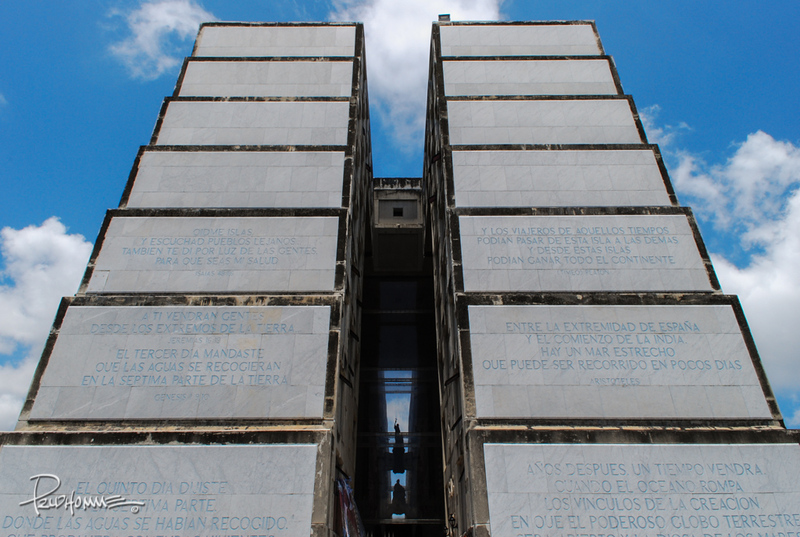 But if you’re in the capital of the Dominican Republic and you have a some time to spare, check out the museum and take a look at one of the most famous mausoleums in the world – even if you’re not quite sure who the heck is buried there! 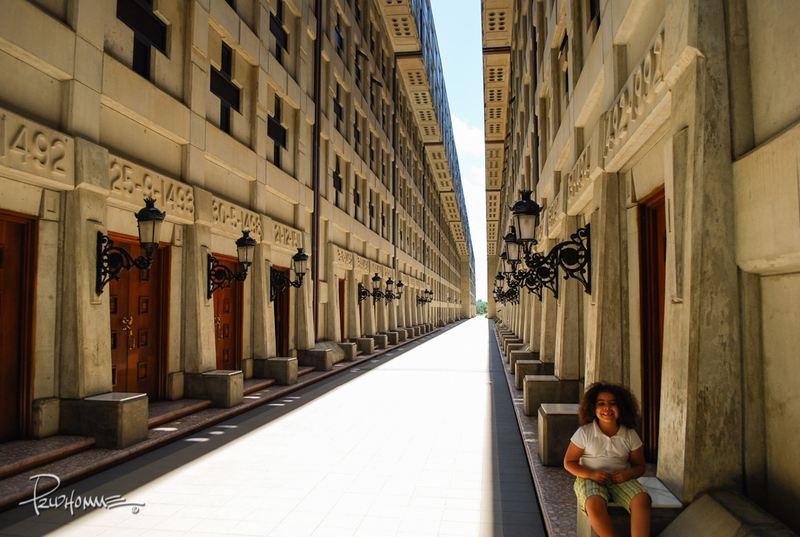 As you leave the museum, the city sprawls ahead of you. It is really beautiful inside. I would spend a lot of time inside admiring the craftsmanship of those who helped create these pieces. Fascinating stuff. And beautifully photographed. I have visited my wife’s homeland of Puerto Rico many times and have been meaning to hop across to the Dominican Republic for a while, when I do I shall definitely be paying this place a visit! That is so impressive! Great photos!